No problem! Just stay at home and tell your phone what you need by administering just a few clicks. Once that’s out the way, all you need to do is wait for your purchase to be brought right to your kitchen! Who will do it, you ask? 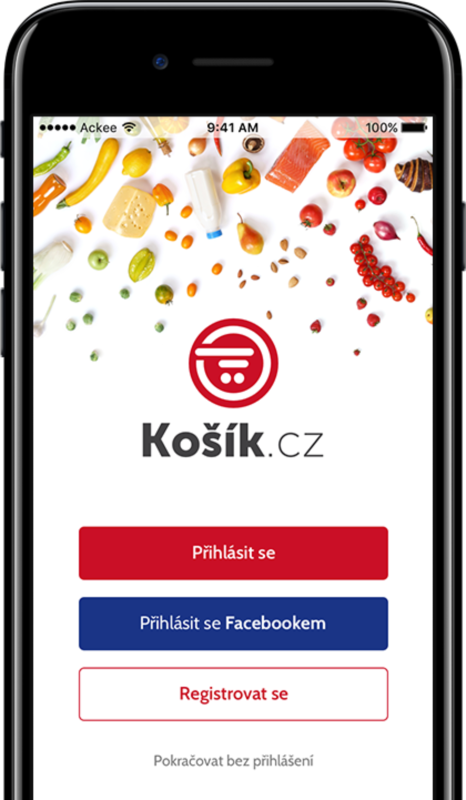 You surely know about Košík.cz, one of the largest e-shops for food delivery in the Czech Republic? With over 13,000 offers, you can get all kinds of goods with guaranteed quality and efficient delivery, thanks to their specially modified cars. 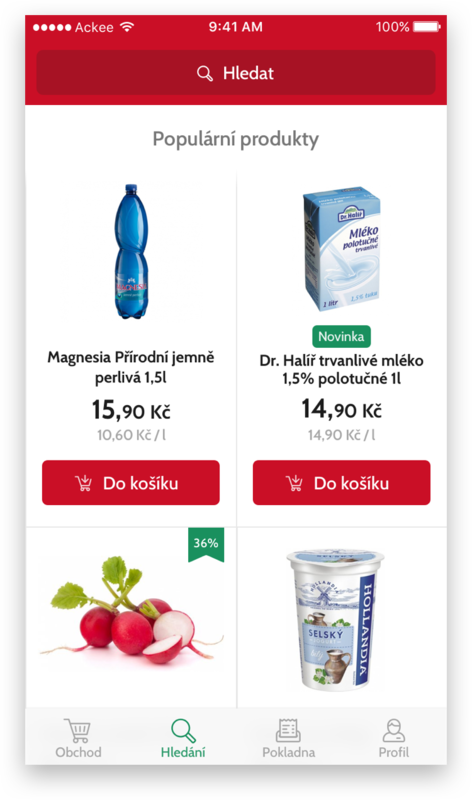 And now, Košík has its own mobile app! We tried to simplify the entire purchasing process.  The process is intuitive and can be completed through just a few clicks. 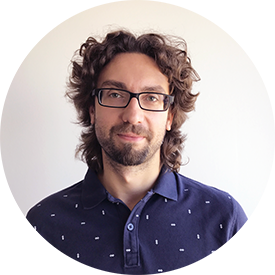 Fast is not only the motto of the entire application, but it’s also the time it took for us to kick out the first version - 3 months! From it’s birth, the application has been designed so it can be easily expanded in the future at the wish of our client. How to Combine Everything Properly? 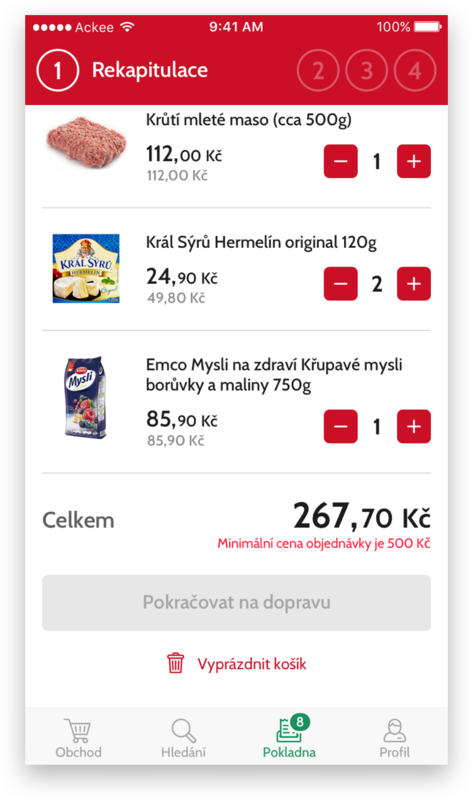 With real data collected from the Backend of Košík.cz, we were able to thoroughly analyze users’ behavior during their purchase, allowing us to build more alternative application solutions. Then, we tested them out with our Ackee team. The whole analysis lasted for almost a month and included a survey of domestic and foreign online stores. We wanted a simple app that would not slow down users with unnecessary questions. Therefore, it has you log in and fill out a form that asks for the time and place of delivery, and when you really want to receive it - all of this before having to pay. This allows you to add all the necessities that come to mind throughout your day into the cart, and complete the purchase when you’re at home sitting at your computer (for example).  We've designed a shared cart over an account so you can conveniently switch between the website and the mobile app.  Our designed features along with the application graphics ensure seamless shopping. 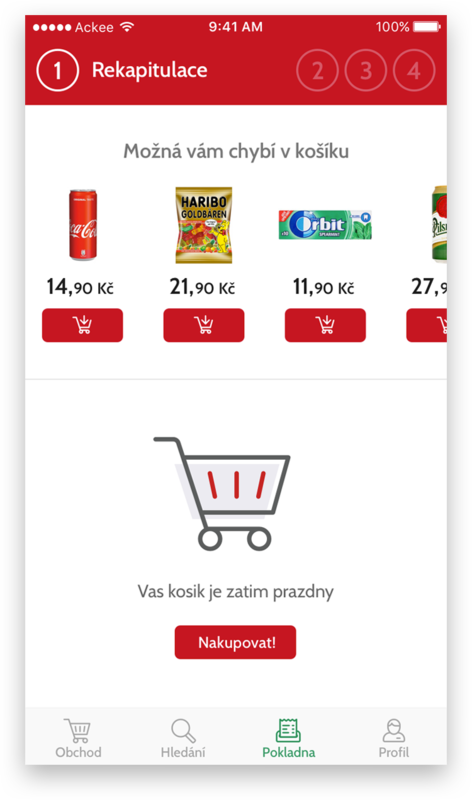 Goods are clearly sorted by type, and there is a section for promotional offers as well as the option of adding products to your favorites. When you know exactly what you want, just start writing it in the viewfinder and the app will smartly suggest to you the items. 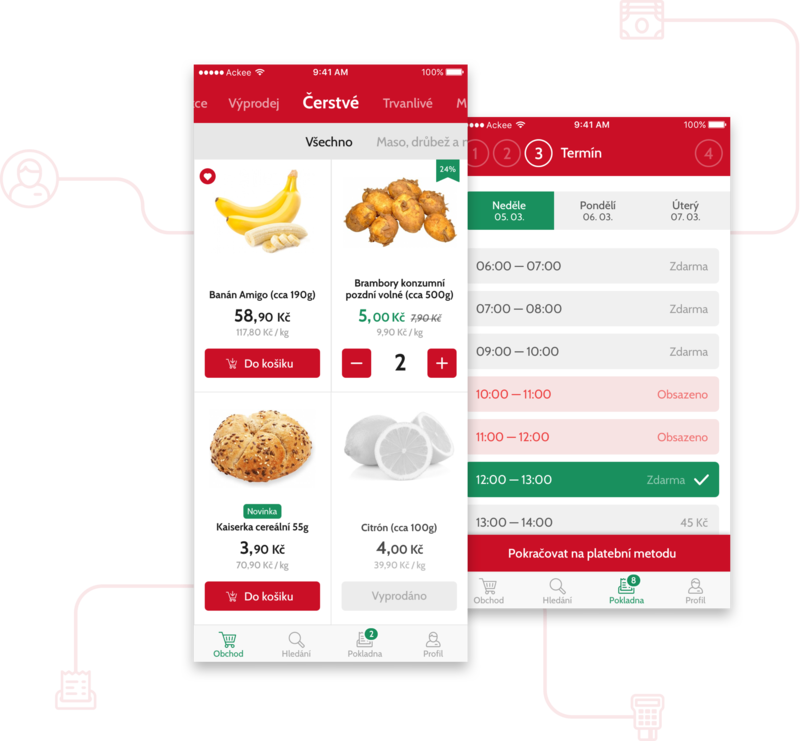 Just like on the website, the application allows the user to choose when and where they want the food delivered. Who wants to spend hours of waiting around? No one. That is why the user will receive a notification when the courier is actually on their way to them. 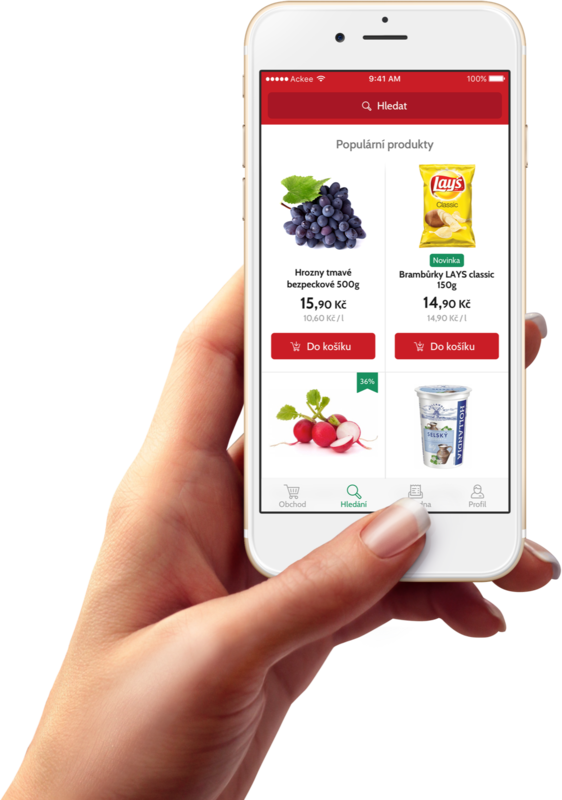 You can pay for it online, in cash when delivered, or after a week - the app also supports Twisto payment. With iOS, you'll enjoy quick access to features that utilize the 3D Touch feature. No more waiting in queues at the cash desk and carrying full bags. Sounds good, doesn’t it?  Download our Android or iOS app and shop online, comfortably!